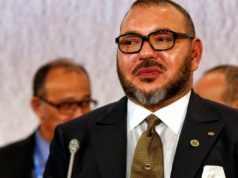 Rabat - King Mohammed VI sent a message to participants in the Fifth Islamic Conference of Ministers in charge of Childhood, which kicked off, Wednesday in Rabat, under the theme "Towards a safe childhood." Here follows the full text of the message read out by minister of State in charge of Human Rights, Mustapha Ramid. 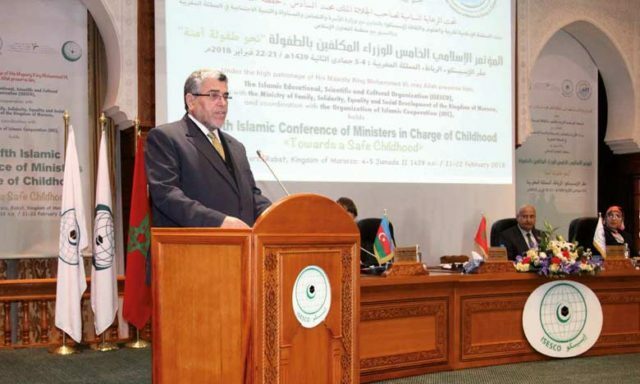 It gives me great pleasure to welcome the participants in the Fifth Islamic Conference of Ministers in charge of Childhood Issues, which is being hosted in your second home, Morocco, by the Islamic Educational, Scientific and Cultural Organization. First of all, I should like to tell this dynamic Organization and all Member States how much I appreciate the commendable efforts made in the area of child protection. I commend you on choosing Towards a Safe Childhood as the theme for your conference, given the critical importance of child-related issues today. This is a theme which shows a shared commitment to ensuring the safety of children and upholding their universally recognized rights. This conference, which is being held under my patronage, reflects a collective awareness of the numerous, interconnected dangers threatening our children. These are perils which can undermine their potential and put their future in jeopardy if we do not provide them with education, cultural guidance and rehabilitation. Such efforts should contribute to children’s integration into the knowledge and communication-based world, making them open to human civilization and to the changes we are witnessing today. I firmly believe this important conference is an opportunity to take stock of the real situation of children in the Islamic world, exchange experiences and expertise and ponder the best ways to rise to the growing challenges faced by children. By hosting this Conference, the Kingdom of Morocco is reaffirming its unwavering commitment to joint Islamic action, particularly when the crucial issue at stake is that of shaping our common future. Accordingly, Morocco is willing to share with all sister nations the experience it has gained in the field of child protection, security and care – an experience which will be presented to you during this gathering. Close to a quarter of a century ago, in 1994, my revered father, His late Majesty King Hassan II – may he rest in peace -pointed out,in his address to the First National Conference on the Rights of the Child, that the future hinges on children, and that the latter embody humanity’s hope for a better tomorrow. He went on to say that a country’s civilization is gauged by the extent to which it cares for its children. Barely a year after that statement, the National Observatory for Children’s Rights, which is chaired by my sister, Her Royal Highness Princess Lalla Meryem, emanated from the Conference. Since then, Her Royal Highness has been making commendable efforts to improve the situation and the social conditions of Moroccan children and to promote their rights. In 1999, the Children’s Parliament was created. It has become a school for the fostering of democratic and civic values through the active participation and involvement of children in political life at all levels. Since my accession to the throne, I have sought to strengthen this process by setting up specialized institutions and by passing legislation to promote child protection. As we built on those achievements, we sought to give a strong impetus to the protection of children and the advancement of child issues. Thus, the 2011 Constitution stipulates that the State is expected to provide children with legal protection andto safeguard the social and moral standing of all children, on equal footing, regardless of family status. It also stipulates that basic education shall be provided to children as a right and shall be a binding obligation for the family and the State. The Constitution also provides for the establishment of an advisory council for the family and child, whose legislative text has been adopted and which I hope to inaugurate soon. Consistent with my keen desire to improve the situation of vulnerable groups, I launched the National Initiative for Human Development. One of the Initiative’s core objectives is the improvement of the situation of children, especially among marginalized and under-privileged segments of the population, and to save them from illiteracy, poverty and exclusion. At the same time, I am keen to evaluate and ensure follow up to the National Plan of Action for Children adopted by the interested parties during the Twelfth National Conference on the Rights of the Child. I have also sought to strengthen family cohesion through the adoption of an advanced Family Code that takes into account the best interests of the child and protects his or her rights in all circumstances. The implementation of that Code should be closely monitored and evaluated to address the shortcomings revealed by past experience. To further promote the policy aimed at ensuring child security and protection, a number of related laws have been passed, including the review of the law on granting Moroccan nationality to a child born to a Moroccan mother and a non-Moroccan father, the law forbidding child labor and the legislation on the establishment and management of social welfare institutions. These constructive measures and initiatives have culminated in the establishment of a comprehensive, integrated system that enhances prevention and protection for the benefit of children and the family. This system constitutes our national response to the various issues relating to child protection. Recognizing that the protection of children and the preservation of their rights cannot be achieved without taking the family setting into account, I have sought to ensure that issues relating to the family and the social environment are also addressed. To that end, I ordered that the scope of beneficiaries from the Family Mutual Assistance Fund be expanded to underprivileged mothers who are exposed to neglect and poverty after the dissolution of the marriage bond, and to widows suffering from vulnerability and exclusion. Moreover, the Social Cohesion Fund has started providing services and a number of support groups have been set up to give assistance to women and children in courts and public hospitals and to offer psychological support for children, etc. The interest I take in improving the situation of children at the national level is matched only by my commitment to uphold and comply with the various international agreements and conventions on child rights. Morocco was one of the first nations to join the United Nations Convention on the Rights of the Child. That was in 1993. It subsequently ratified the Optional Protocol to the Convention on the Rights of the Child on a communications procedure. My action has not stopped at protecting Moroccan children. I have also sought to make sure migrants are included. To that end, we have adopted a national migration and asylum strategy based on humanitarian considerations. Under that strategy, in the regularization process, priority is given to vulnerable groups, children and family reunification. As regards international protection for child rights, we must draw attention to the tragic situation of children throughout the world, particularly in some Arab, African and Asian countries, not to mention regions affected by wars and ethnic strife, in which children are exposed to displacement and criminal exploitation. Because of these tragic situations, which are a challenge to the conscience of the world, I call on the international community, and the influential powers in particular, to shoulder their historic responsibility towards children. They represent the future of mankind, and it is they who are suffering from violence, exploitation and neglect. I also call on them to take whatever measures are needed – before it is too late – in order to save children from the scourge of war, conflict, epidemics, famine and extremist and terrorist groups, as well as from the tragedies relating to illegal migration. Not only do our countries share the same principles and values advocated by our faith, which urges us to care for children and safeguard their rights, but they also face similar challenges. Islamic countries should therefore enhance their solidarity and cooperation, pool efforts, share the experience gained in the area of child protection and seek to craft constructive, innovative partnerships that take into account the distinctive features of our countries. Efforts should also be made to involve the actors concerned, including civil society groups. The various forms of violence, exploitation and neglect to which children are exposed – particularly new forms of violence and the employment of minors – require the establishment of a system for reporting violations that involves all the parties concerned, including the family, school and society. Given the physical and moral violence and abuse suffered by children, sometimes at the hands of trusted relatives who deal with them on a daily basis, we need to come up with mechanisms to document this type of abuse and define indicators and data for the development of prevention programs. As you know, guaranteeing the rights of children hinges, first and foremost, on enabling them to enjoy their basic rights to health, education, housing and social protection. These are the same rights mentioned in the Sustainable Developments Goals, which also include an explicit call to combat violence against children. Islamic countries are therefore expected to invest in all sectors concerning child-related issues and challenges, by seeking to combat poverty, tackle the repercussions of climate change, ensure food security, keep abreast of the digital revolution and provide for security and stability. I am confident that the soon-to-be-established advisory council for the advancement of child-related issues in the Islamic world will serve as a powerhouse for suggestions aimed at tackling common challenges in connection with children. You realize, of course, that today’s children are tomorrow’s citizens. Our children will carry the Islamic Ummah’s future if we manage to protect them and give them what they need to achieve fulfilment and beopen-minded. I am sure you are also aware of the magnitude of the challenges facing our children. I am sure that this important conference, which has brought together experienced, competent participants who are guided by a sincere desire to safeguard the Islamic Ummah’s rights and future, will address the various aspects relating to children. I look forward to the adoption of practical, objective and applicable recommendations, together with implementation mechanisms and modes of financing, for the benefit of our Ummah and the future of its peoples. I pray that Almighty God assist you and grant you every success.